Were you aware that you were born a peaceful warrior? This free practice is an encouraging at home practice to bring out the peaceful warrior in all of us. A 27 minute yoga practice to soften, strengthen, and remember that your attitude help shapes your world. Practice being conscious of your perception within the poses and notice how you handle the things you discover on the mat. If that isn’t motivation to take some time to move and cycle through some deep breaths – I don’t know what is. The way you move matters. Try this new free practice today and let me know how it goes down in the comments below. This was a great practice. I loved the hip opening/back stretches at the end. Namaste! Agreed. Low fi whilst powerful. Much needed to end/start another week. My lower back was aching today, my feelings hurting too after dealing with highs and lows in equal measure. This practice helped on all counts. If you got this far I hope you can take 20 mins or so and just do this. Good use of time. Thanks again to Adrienne and FWFG. Great. thank you for the practice . Needed this moment of quiet and peace before heading into a stressful week. thank you! Adriene, because of you I’ve developed a robust at-home yoga practice—huge thank you! The daily practice, though, has been hard on my sensitive knees. I really appreciate your “Sensitive Knees” video, and I’d love to see more videos that pay attention to the knees. It would be especially helpful to have a video that suggests knee-aware variations for classic poses (such as cat/cow, thread the needle, etc) so that those of us with troubled knees can swap those in as we use your regular videos. Thanks so much! I keep a thick folded towel to stick under my knees for any posture that puts weight on them. 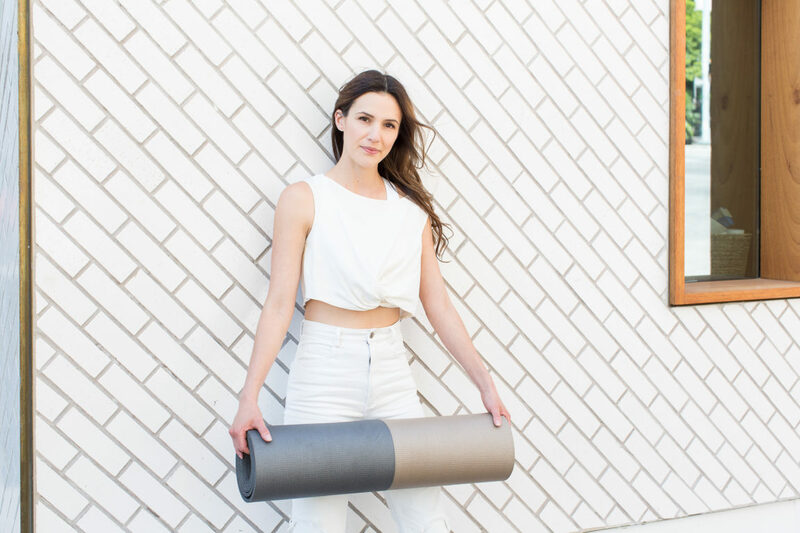 I often find I can just leave it in the same place on my mat for the whole practice: once it’s in the right place for my knees, it doesn’t get in the way of my hands or feet. I also try extra hard to bear my weight on my feet or hands rather than my knees while shifting positions. Yoga really can be tough on the knees though! This was a perfect practice for me this morning. A great way to start out my week! Thanks so much for all you do to bring the body and the mind to the mat and go deep! Big love! I loved the lower back “massage” near the end – I’ve never done that before, but I think I need to every day now! Thanks so much!